I'm listening to an inspirational podcast at the moment. It is a series of discussions between two ordinary people who have each embarked on a spiritual journey to try to live the best lives they can. What is refreshing, is that they really are just ordinary people. They have families, relationships, jobs, their boilers break, they get annoyed, they argue, they get drunk, they are talking on Skype in their pyjamas - you get the picture. They are actively trying to get more out of life so that they can be more generous with themselves and with the people around them. The best part is that they are able to laugh about it all as they go. Their humour and playfulness is a joy, they don’t take themselves too seriously. This is invigorating stuff; especially as I've shed the skin of 2015 and am charging forth into the new year feeling renewed and motivated. Sometimes if you are going through a period of reflection, you turn to people that have become famed as modern day spiritual gurus. You try to cleanse yourself in the soothing balms of their teachings, with the hope that a thorough dowsing will soak you right through to your knickers, and hopefully, your soul. But it can feel like there is a chasm between where you are; with all the crazy stuff going on in your life, preventing you from zenning the hell out, and where they are; seemingly having ‘arrived.’ Everything in life is a balance, sometimes a struggle toward balance and often a compromise. However, here are two people, Steve and Michele, having conversations that are prompting me to look objectively and realistically at myself. My life can be wonderfully chaotic. There is a beauty in that which is easy to lose sight of. I don't make new year's resolutions because I've never followed one through to completion, so why set myself up for failure? What I am going to do instead this year comes down to two things; things I've realised are going to minimise stress and maximise fulfilment. It is so easy to spread yourself too thinly across so many different things. You take on more than you can really cope with, because it is easier to say 'yes' than it is to say 'no'. I'm putting my life on a diet; I've made a list of what really matters, what is essential, and I am letting go of the things that aren't serving me or my family. I'm focussing on family, our farming business, writing goals, good friends and riding my horses (albeit irregularly). That is plenty to fill my life with right now, and also brings great joy when due love and attention is given to each. This was inscribed for me in a book written by the adventurer, Benedict Allen, as I prepared for a horse race across Mongolia (which is where my writing career began). I have never forgotten it. True North is literally the direction along the earth's surface toward the geographic North Pole, but this actually differs from Magnetic North, which is the reading you get from a compass. What it means, is the pursuit your own authentic path rather than succumbing to where you (or others) think you should be going. Your True North spans all areas of your life, as they are all a mini-journey in their own right. 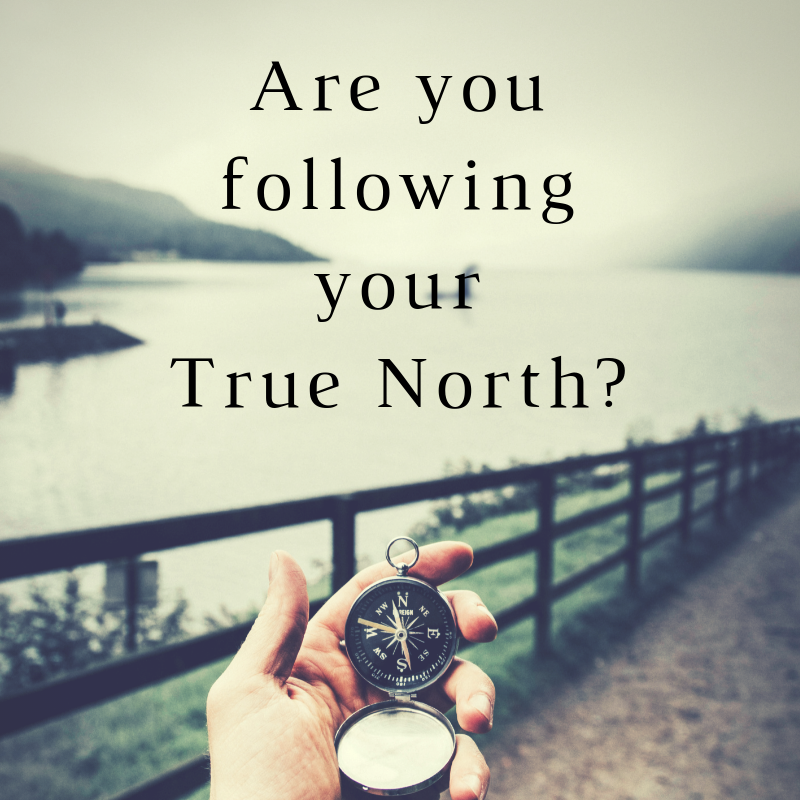 Considering if the path you are on is leading you to your True North sheds an honest light on the way you are choosing to operate. Bringing awareness to your True North shuts out noise, chatter and distractions, bringing your focus back, so you can behave in a way that really resonates with you. I'm going to be conscious about the directions I am heading and make changes where necessary in each area. There is great beauty in following a path that feels true to you. When you are on that path, it is like picking the lock of life, pins chink into place, opportunities arise and doors open for you to continue your forward momentum. I've just had an (almost) full night's sleep and I feel unstoppable! 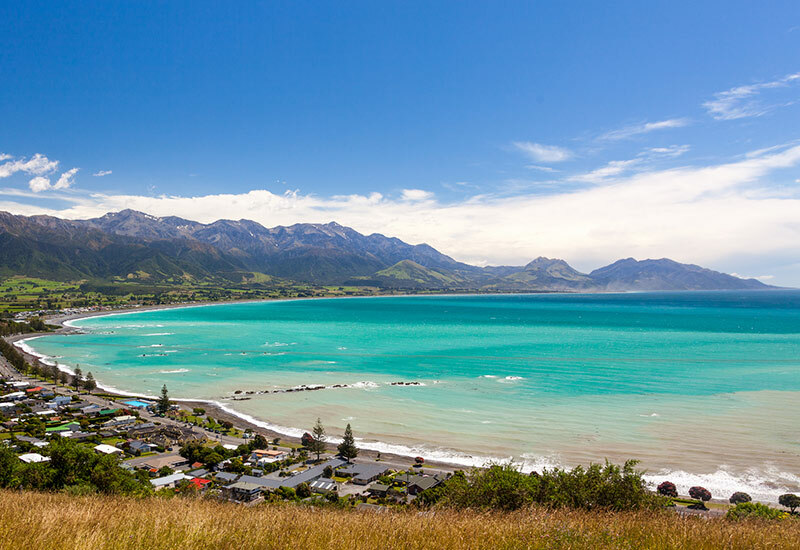 I'm literally driving north for a friend's wedding and have pulled over in Kaikoura, an area of staggering beauty and also something of a spiritual home for me. I write this as I watch at a restless turquoise ocean, there could be no better time or place. Today is a good day. So, while I'm not going to be suspending a dream catcher from my rear vision mirror, knitting a yurt or signing off my texts with namaste, I'm enjoying a little bit of centring and hope that I can continue to laugh when things inevitably get a little crazy this year. Happy 2016.